As with all nutrients, having too much or too little water has health consequences. Excessive water intake can dilute the levels of critical electrolytes in the blood. Water intoxication is rare, however when it does happen, it can be deadly. On the other hand, having too little water in the body is common. In fact, diarrhea-induced dehydration is the number-one cause of early-childhood death worldwide. In this section we will discuss subtle changes in electrolytes that compromise health on a chronic basis. Water intoxication mainly affects athletes who overhydrate. Water intoxication is extremely rare, primarily because healthy kidneys are capable of excreting up to one liter of excess water per hour. Overhydration was unfortunately demonstrated in 2007 by Jennifer Strange, who drank six liters of water in three hours while competing in a “Hold Your Wee for a Wii” radio contest. Afterward she complained of a headache, vomited, and died. Dehydration refers to water loss from the body without adequate replacement. It can result from either water loss or electrolyte imbalance, or, most commonly, both. Dehydration can be caused by prolonged physical activity without adequate water intake, heat exposure, excessive weight loss, vomiting, diarrhea, blood loss, infectious diseases, malnutrition, electrolyte imbalances, and very high glucose levels. Physiologically, dehydration decreases blood volume. The water in cells moves into the blood to compensate for the low blood-volume, and cells shrink. Signs and symptoms of dehydration include thirst, dizziness, fainting, headaches, low blood-pressure, fatigue, low to no urine output, and, in extreme cases, loss of consciousness and death. Signs and symptoms are usually noticeable after about 2 percent of total body water is lost. Blood pressure is the force of moving blood against arterial walls. It is reported as the systolic pressure over the diastolic pressure, which is the greatest and least pressure on an artery that occurs with each heartbeat. The force of blood against an artery is measured with a device called a sphygmomanometer. The results are recorded in millimeters of mercury, or mmHg. 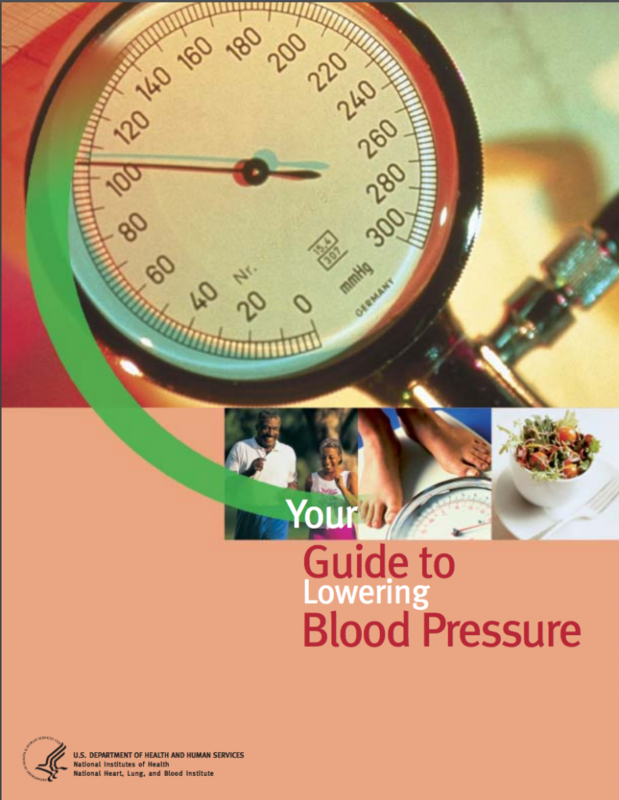 A desirable blood pressure ranges between 90/60 and 120/80 mmHg. Hypertension is the scientific term for high blood pressure and defined as a sustained blood pressure of 140/90 mmHg or greater. Hypertension is a risk factor for cardiovascular disease, and reducing blood pressure has been found to decrease the risk of dying from a heart attack or stroke. 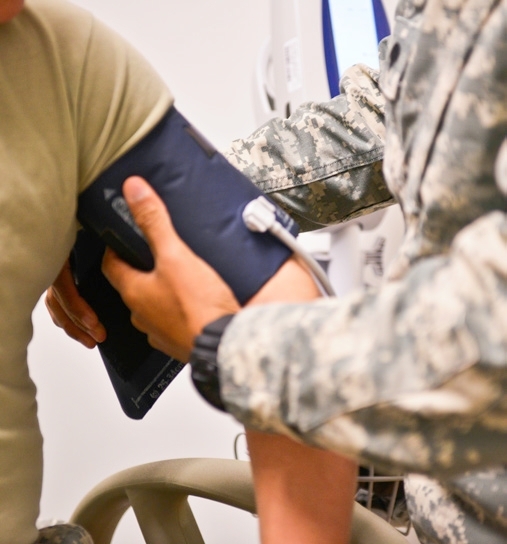 The Centers for Disease Control and Prevention (CDC) reported that in 2007–2008 approximately 33 percent of Americans were hypertensive.The percentage of people with hypertension increases to over 60 percent in people over the age of sixty. There has been much debate about the role sodium plays in hypertension. In the latter 1980s and early 1990s the largest epidemiological study evaluating the relationship of dietary sodium intake with blood pressure, called INTERSALT, was completed and then went through further analyses. More than ten thousand men and women from thirty-two countries participated in the study. The study concluded that a higher sodium intake is linked to an increase in blood pressure. A more recent study, involving over twelve thousand US citizens, concluded that a higher sodium-to-potassium intake is linked to higher cardiovascular mortality and all-causes mortality. The DASH-Sodium trial was a clinical trial which evaluated the effects of a specified eating plan with or without reduced sodium intake. The DASH diet is an eating plan that is low in saturated fat, cholesterol, and total fat. Fruits, vegetables, low-fat dairy foods, whole-grain foods, fish, poultry, and nuts are emphasized while red meats, sweets, and sugar-containing beverages are mostly avoided. In this study, people on the low-sodium (1500 milligrams per day) DASH diet had mean systolic blood pressures that were 7.1 mmHg lower than people without hypertension not on the DASH diet. The effect on blood pressure was greatest in participants with hypertension at the beginning of the study who followed the DASH diet. Their systolic blood pressures were, on average, 11.5 mmHg lower than participants with hypertension on the control diet. Following the DASH diet not only reduces sodium intake, but also increases potassium, calcium, and magnesium intake. All of these electrolytes have a positive effect on blood pressure, although the mechanisms by which they reduce blood pressure are largely unknown. The National Heart, Lung, and Blood Institute has prepared an informative fact sheet on the DASH diet: http://www.nhlbi.nih.gov/health/public/heart/hbp/dash/new_dash.pdf. Use the food-group charts to help design a daily menu that follows the DASH eating plan. Consequences of Deficiency or Excess by University of Hawai’i at Mānoa Food Science and Human Nutrition Program is licensed under a Creative Commons Attribution-NonCommercial-ShareAlike 4.0 International License, except where otherwise noted.